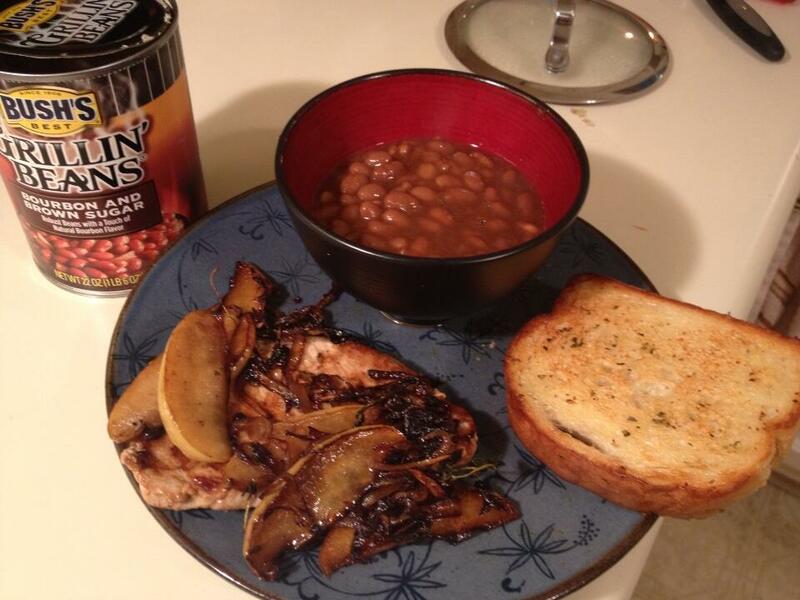 Deviating a little from form here – thought I’d share last night’s dinner. I twittered pics as I made it last night and figured it’d be silly not to make it into a post. This one is crazy easy, crazy delicious, and the ingredients are very cheap. (Especially if you have thyme in your herb garden!) Listed here is how I make it for me and myself (two portions, one for dinner, one to take to work for lunch the next day). Truthfully though, the most convenient and least wasteful way to prepare this particular recipe is for 4 – just double what’s here. This is an excellent recipe for when you’re in a hurry and don’t want to make a mess of your kitchen with lots of prep items – the only real prep is slicing up the apple and onion. Serve with an easy canned Southern side like baked beans, green beans, sweet peas, or if you have the time, roast some potatoes with garlic and rosemary. 1. 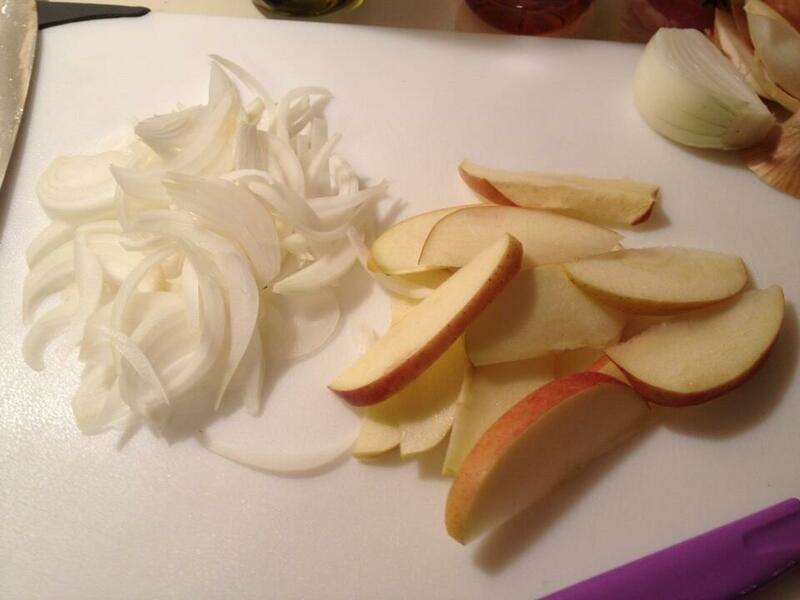 Slice up your apple and onion into thin wedges. 2. 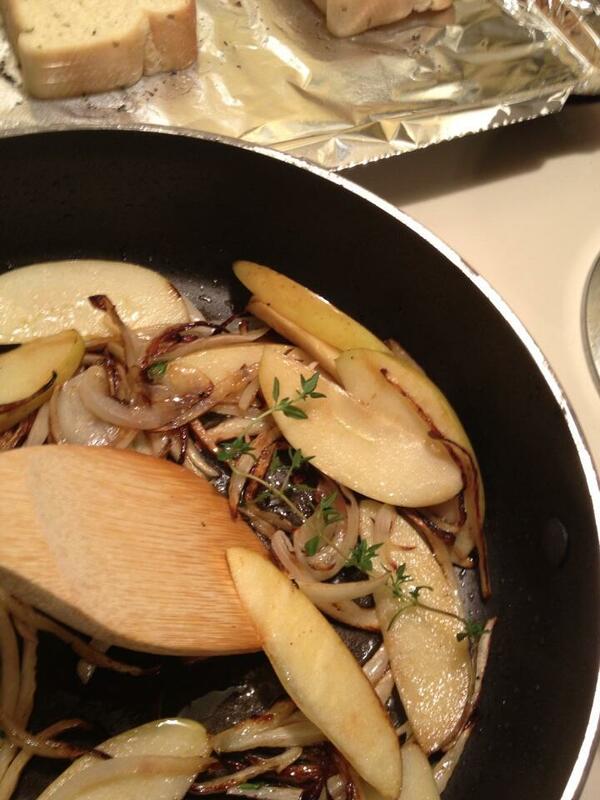 Heat up the tablespoon of oil in a large skillet. 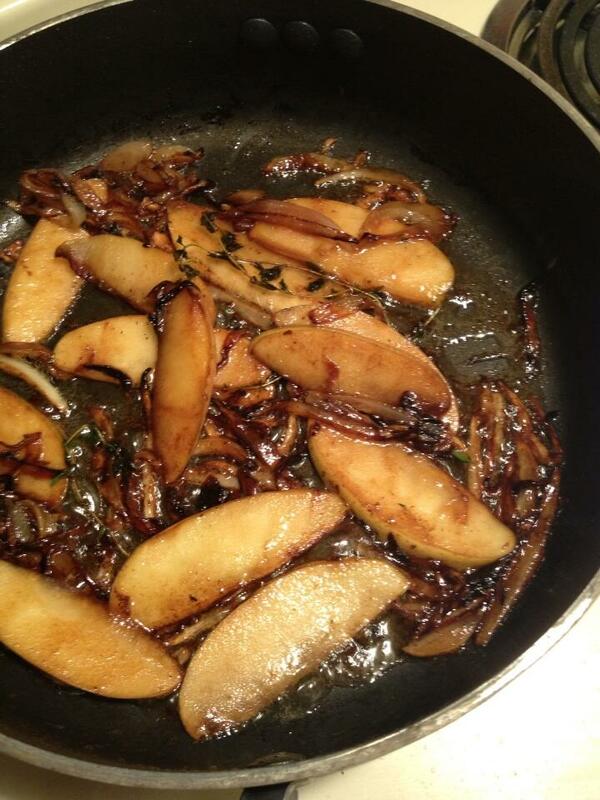 Over medium heat, put down the onions first, then the apples on top. Let the onions sear for a couple minutes until they start to brown. 3. Toss in the thyme sprigs (or dried) and stir. 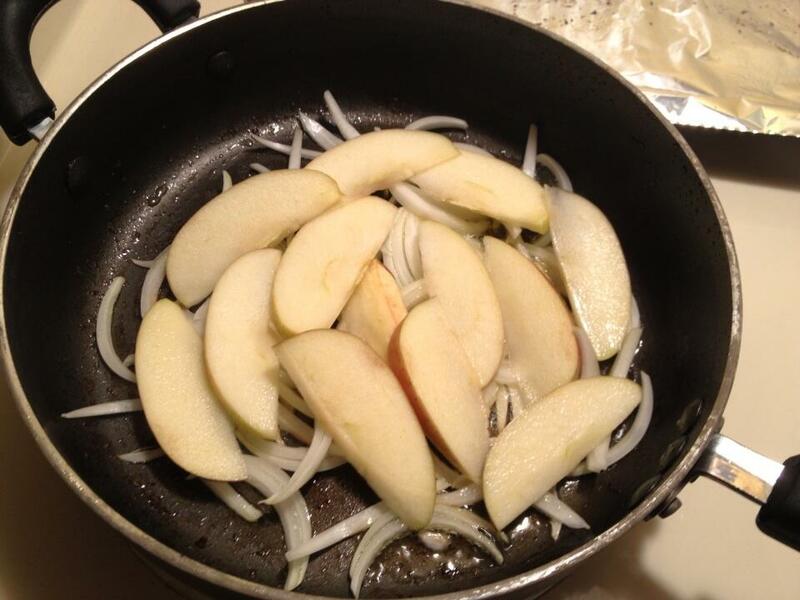 Push the apples & onions to the sides. 5. 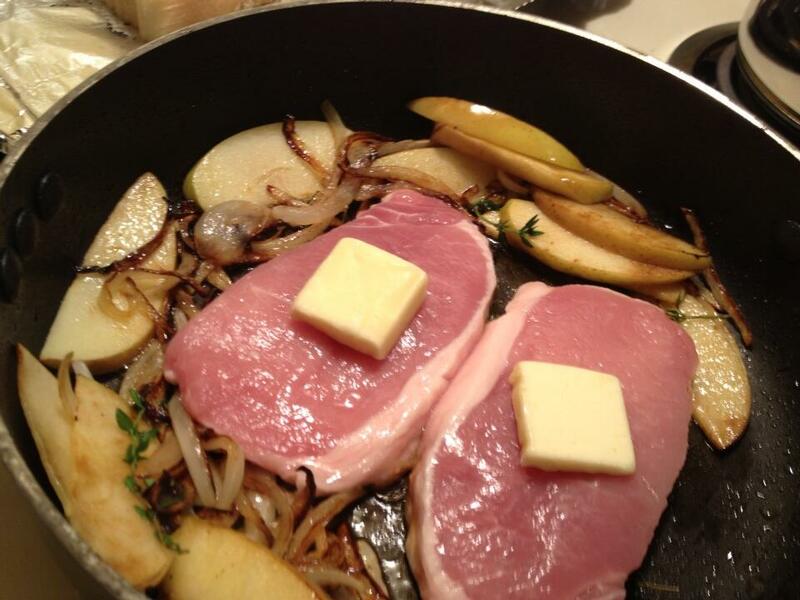 Remove cooked chops from skillet and reserve on warm plate. Add a tbsp. cider vinegar to apple mixture and saute over medium, stirring occasionally, until apples and onions are fully soft and golden and vinegar is reduced, about 5 minutes. 6. 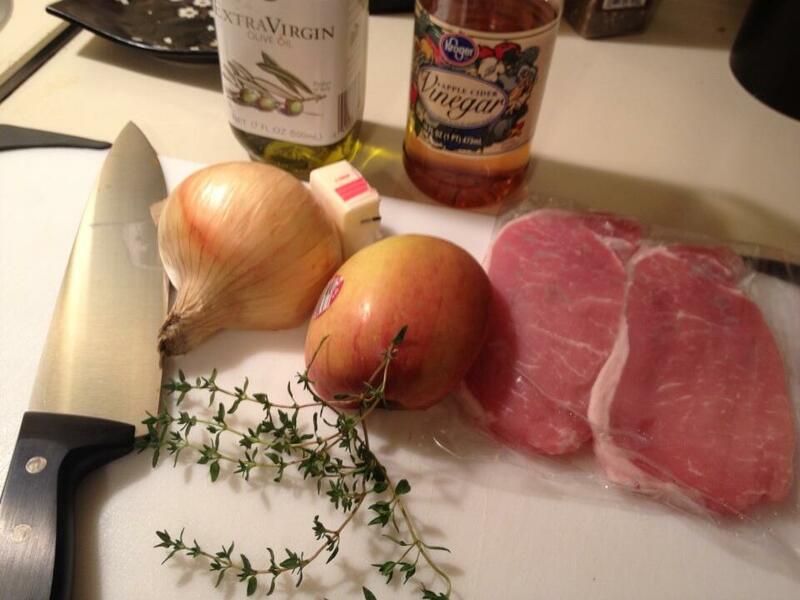 Spoon apple mixture over pork chops. Try not to eat all of it in one sitting.